ILLINOIS -- A woman has been charged with stealing a valuable show horse from a Chicago stable. 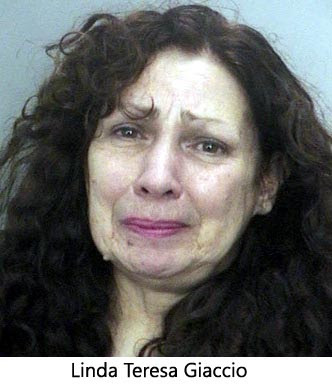 Dawn Sadoff, 43, has been charged with burglary and theft of a horse for allegedly stealing a Lipizzaner named Hunter from the Noble Horse stable in the city's Old Town neighborhood. The Chicago woman was ordered held on $90,000 bond during a court appearance Monday. Cook County prosecutors said Sadoff burglarized the stable on Aug. 7, leading the horse out of the stable and into a trailer. It was recovered a few days later at a stable in far west suburban Elburn. Sadoff, who once worked at the Noble Horse stable, denies the allegations. Defense attorney Nicolas Albukerk said Sadoff was owed money for a horse she had sold to the owner of the Noble Horse stable earlier this year. He said Sadoff took Hunter to complete the deal. "This is not great detective work," he said, noting that Sadoff alerted the local media that she had the horse once it was reported missing. "We don't deny that she had the horse." unter was on loan to the Noble Horse stable for an upcoming series of dinner shows. It is estimated that he is worth as much as $70,000. Meanwhile, Assistant State's Attorney Erin Antionetti said charges are pending against Sadoff in Lake County in a separate case. Prosecutors there have charged Sadoff with forgery and deceptive practices for allegedly passing about $4,000 worth of bad checks at a currency exchange. SOUTH CAROLINA -- Police have charged a 54-year-old woman with animal neglect after finding almost 60 cats, including three dead ones, inside a hot minivan parked downtown. Linda Giaccio is charged with five counts of animal neglect, said Howard Futrell, supervising officer for Charleston police animal services. Giaccio was apparently returning to her new home in Florida after a road trip to Philadelphia for a court appearance, Futrell said. She took the cats because she didn't trust anyone to take care of them while she was gone. Authorities have not yet determined what killed the three dead cats and another is not expected to live (common sense tells you they boiled to death inside the hot vehicle). Futrell said he didn't see any food or water and the van was like a rolling litter box. "The stench was overpowering," he said. Giaccio was accompanied by an elderly man who has been hospitalized for chest and respiratory problems, Futrell said. The live cats and a poodle were being cared for late Monday at the John Ancrum Society for the Protection of Animals. Most appeared to be in reasonably good shape, except for an extreme need for bathing, said Dr. Robert Carlson, SPCA executive director. Carlson said the woman's veterinarian in Philadelphia told him Monday that Giaccio had adequately cared for the cats in the past. 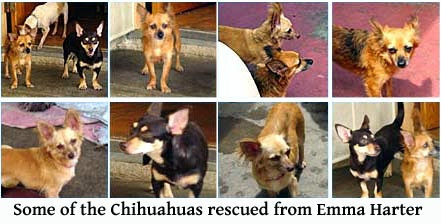 CALIFORNIA -- The Chihuahuas have been bailed out of jail. More than 100 of the little dogs, many of them with severe behavioral problems, were handed over to a dozen rescue groups at the Los Angeles County animal shelter in Baldwin Park on Monday, ending a bitter battle over the dogs' fate. Rescuers and animal-control officers worked throughout the afternoon, corralling scared, angry and growling Chihuahuas into animal carriers, which were then packed into large cars, SUVs and vans. "I've been crying tears of joy all day long," said Kimi Peck, president of the Burbank-based Chihuahua Rescue group. "I hope this will set a precedent. We have proven that these dogs can be saved." The animals, which initially numbered 236, had been held at the county facility since they were confiscated eight months ago from 73-year-old breeder Emma Regina Harter. The county had deemed only 36 of the dogs suitable for adoption because they had never been socialized and had formed feral fighting packs. Animal-control officials had intended to destroy the remaining dogs. But after Peck threatened to take legal action, animal-control officials agreed to appear before a judge to work out a solution. Peck argued that with love and patience, the dogs could be rehabilitated. On Friday, Lancaster Superior Court Judge Lisa Chung, comparing the tiny animals to abused children, announced that the dogs would be released as soon as possible to certified rescue groups willing to give them the necessary care. Another 60 dogs are scheduled to be set free from the shelter this week. Peck said more than 400 people stepped forward, volunteering to take in the animals. After screening applicants, Peck narrowed the list to about 20 rescue groups, scattered throughout the United States and Canada. On Monday afternoon, Peck was joined by animal rights advocates from more than a dozen local rescue organizations. "Chihuahua Rescue has helped us before, and we're here because we want to return the favor," said Sherry Dargahi, who works with a pit bull rescue group outside Santa Clarita. "We're building a special pen for the dogs. I'll be the one working with them. I can't wait." Officials began releasing the dogs shortly before 2 p.m. The process proved to be slow and arduous. Several animal-control officers, wearing gloves and carrying blankets, worked gingerly to force the frightened dogs into carriers. At one point, nationally known pet expert Warren Eckstein, hired by Peck several weeks ago to evaluate the dogs, tried to coax one Chihuahua into a box. He ended up with bloody knuckles. "It doesn't matter," Eckstein said of his wound. "This is nothing compared to what these poor dogs have been through. They are so frightened." The saga of the Chihuahuas began last year, when neighbors of animal breeder Emma Harter complained that she was housing the dogs in unsanitary conditions. County animal-control officials raided her property in Acton, an unincorporated community northeast of Santa Clarita, and found scores of the dogs living in close quarters. 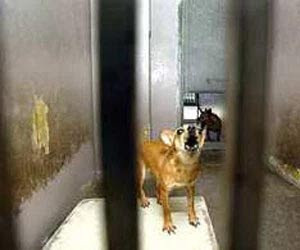 Some of the animals had to be destroyed because they were ill, and some were killed by other Chihuahuas. The district attorney's office has filed two felony and four misdemeanor animal-cruelty charges against Harter, who faces three years and eight months in state prison if convicted, according to Sandi Gibbons of the Los Angeles district attorney's office. California: Judge's Ruling Saves 170 Dogs - The Chihuahuas, taken from Acton puppy mill breeder Emma Harter, 72, last year, are to be released to a rescue group based in Burbank early next week. CALIFORNIA -- A judge ruled Friday that 170 Chihuahuas -- deemed by some officials as too wild for adoption -- would not be destroyed after all and instead would be released to a rescue group that has pledged to rehabilitate the dogs. "We won and I'm in shock and thrilled," said Kimi Peck, president of the Burbank-based Chihuahua Rescue. "By Monday we will start getting the dogs," Peck said. "It's going to cost thousands, but it's worth it to save these dogs." The dogs, which initially numbered 236, were confiscated from a breeder last year. The dogs had never been socialized and formed vicious, feral packs, authorities said. Only 36 were deemed suitable for adoption. Lancaster Superior Court Judge Lisa Chung compared the plight of the tiny dogs to abused children as she announced the dogs would not be put to sleep. Chihuahua Rescue pledged to place the dogs with people across the country who know how to work with dogs with behavioral problems. The saga of the Chihuahuas began when neighbors of animal breeder Emma Regina Harter complained that she was housing the dogs in unsanitary conditions. Los Angeles County animal control officials raided her property in Acton, an unincorporated community northeast of Santa Clarita, and found scores of the dogs living in close quarters. The dogs were not neutered or spayed and more Chihuahuas were later born at a shelter in Baldwin Park, where they have been held for eight months. 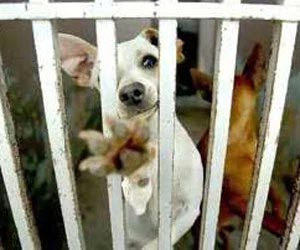 Some dogs had to be destroyed because they were ill, and some were killed by other Chihuahuas. The district attorney's office has filed two felony and four misdemeanor animal-cruelty charges against Harter. Harter faces three years and eight months in state prison if convicted, according to Sandi Gibbons of the Los Angeles district attorney's office. Chung has rejected a motion to dismiss the case. Dog rights activist Peck said the dogs should not be faulted for their behavior. She blamed their cramped living conditions and poor treatment. "Everything that is wrong with the dogs is what human beings did to them," Peck said. Referring to Harter, Peck said: "She just wanted a lot of dogs so she could sell them and make money." The fate of the dogs prompted much debate within the community of Chihuahua fanciers. Chihuahua Rescue referred to the animals as "angels on death row," and secured the support of an airline to transport the dogs to new homes. Another group, Chihuahua Rescue and Transport, said the dogs' health and behavioral problems had left the animals beyond help. In a statement on its Web site, the group said: "We cannot support these dogs being placed in any homes." NEBRASKA -- A call from a concerned citizen led to the arrest this week of a Washington County woman for animal cruelty. Cherish Pridham (aka Cherish Nzueni), 27, of rural Washington County, was arrested at about 9:30 p.m. Monday, August 4, at her residence at 5323 County Road 31. Pridham was also arrested on suspicion of false reporting and for driving with a suspended license. After receiving a citizen complaint on July 31, Scherer said investigators drove to the residence at that time and found three malnourished horses, a dead dog and the skeletal remains of various animals scattered about the yard. The evidence found on July 31 led to the issuance of a search warrant, which was served Monday evening. Neither Nzueni nor Paul Muia, 45 were at home when the officers arrived, but Nzueni drove up while the investigation was under way. She was cited for animal neglect and also arrested and jailed for driving under suspension and providing false information. When Muia arrived at the Washington County jail Tuesday morning to post Nzueni's $700 bond, he too, was cited for animal neglect. Scherer said no additional evidence of endangered animals was found at the scene. A dog and two cats in the house seemed to be in good condition, he said. The horses were taken to another facility and the remains of the dead animals were disposed of, Scherer said. Rose Fister, who is associated with Helping Hand for Animals, a Washington County animal rescue agency, said Nzueni had contacted her several times, attempting to acquire dogs in need of foster care. Fister said she hesitated to release animals to Nzueni's care because the woman continuously reported her animals stolen or missing. According to The Associated Press, sheriff officials also were looking at a connection to Nzueni over possible Internet fraud and allegations of missing animals. shop owner you know or even remotely know-- Esp those in the States of NE, IA, MO, KS, SD, MN, CO! I am attaching emails regarding a known criminal from Nebraska. Last known to live in Washington County AND Douglas County--Omaha, Herman and Blair NE. She goes by the name of Cherish Nzueni, Cherish Pridham, Cherish Muia and possibly other names as well. She is a white female w/light brown wavy hair, in her 20s or early 30s. Will be most likely with a man or men of Sudanese/Nigerian nationality-- Most likely, a Sudanese attorney by the name of Paul Muia. This man is not to be trusted either. His license to practice law has been suspended for several months due to unrelated complaints filed against him with the State Bar. Cherish poses as a rescuer, a breeder or a groomer. This woman is a con artist and an EXCESSIVE animal abuser. It seems she has skipped the county and many are looking for her. I fear she may be out of state by now as her name(s) is/are pretty well known in Eastern NE due to her face being on the news this summer. Cherish was evicted from house that was raided. There were 3 pigs on porch, 2 headless white domestic rabbits in driveway, 2 shar peis, black lab, small brown dog, miniature pinscher & garbage can full of carcasses. Any info anyone may have or will have on her, needs to be forwarded to Rick at the Blair Animal Shelter 402.533.2743 or better yet, the Washington County Sheriff's dept. at once 402-426-6866. Apparently Chrish Nzueni is incarcerated at the Iowa State Prison. Harrison County, Iowa - as of November 17, 2015 - has an active warrant for Cherish Nicole Nzueni's arrest (warrant number SRCR008852). Her bond is listed as $9,750. 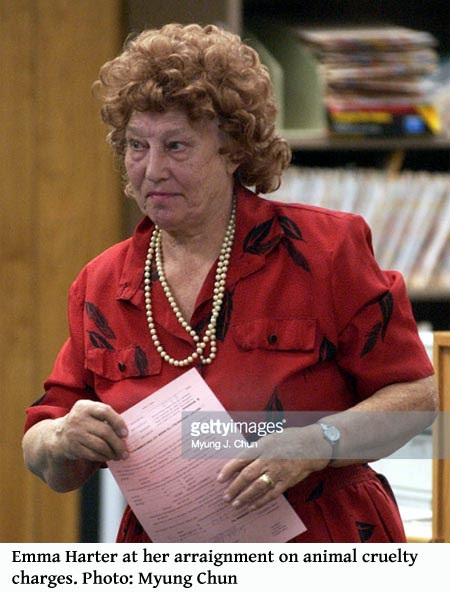 The warrant was issued 03/22/2005 so she must've been released from prison and has since disappeared if they've had an open warrant out for her for 10 years. CALIFORNIA -- A retired school cafeteria manager from whom county officials seized more than 200 Chihuahuas pleaded not guilty Tuesday to felony animal cruelty and other charges. Los Angeles County animal control officials also are seeking to remove two Chihuahuas, a male and a female, remaining at 72-year-old Emma Harter's Acton home, because they are not spayed or neutered. "There is some worry that it will be the beginning of the next generation of 200," Deputy District Attorney Steven Heller said after a court hearing Tuesday in Lancaster. Harter, who is free on a written promise to appear in court, is charged with two counts of felony animal cruelty and misdemeanor charges of battery on an animal control officer, creating a public nuisance, running an illegal kennel, animal endangerment, keeping animals in unsanitary conditions and failing to isolate sick animals. Harter was convicted in 1995 for operating an illegal kennel, but that conviction was overturned by an appeals court. Lancaster Superior Court Judge Lisa Chung is expected to rule Friday on what do with 170 Chihuahuas that have been kept at a county shelter in Baldwin Park since being taken by authorities from Harter in November. Officials estimated in July that it was costing the county about $2,000 a day to keep the dogs, totaling about $500,000 as of last month. Chung denied a motion by Harter's attorney that the battery charge should be tried separately from the animal charges. Her attorney said the battery charge would be inflammatory and prejudicial if combined with the animal charges. The prosecutor argued that the alleged battery took place during the serving of a search warrant and that "any prejudice that might take place is minimal." "It's a misdemeanor charge. It's not a charge where she fired a shotgun," Heller said. "Separating the count out would be an incredible waste of time and burden to the system." At a court hearing in July, an agreement about what to do with the dogs fell apart after Harter refused to sign on to an agreement that would have released them to a Chihuahua rescue group based in Burbank. At Harter's home, the Chihuahuas had formed feral packs that preyed on weaker dogs, animal control officials have said. Inbreeding also had affected their behavior, officials said. County officials said just 36 of the dogs are adoptable, but officials with Burbank-based Chihuahua Rescue, which has spearheaded the effort to save the dogs from being killed, have said the dogs can be rehabilitated and given to new owners.